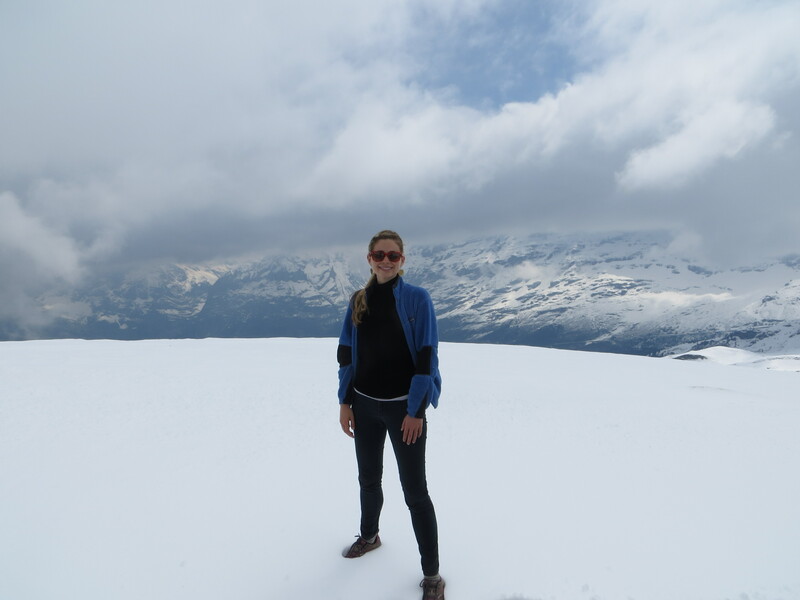 As we packed our bags for our weekend camping trip Thursday night, my husband got an email from his editor asking him to cover a press conference in Bern Friday afternoon. 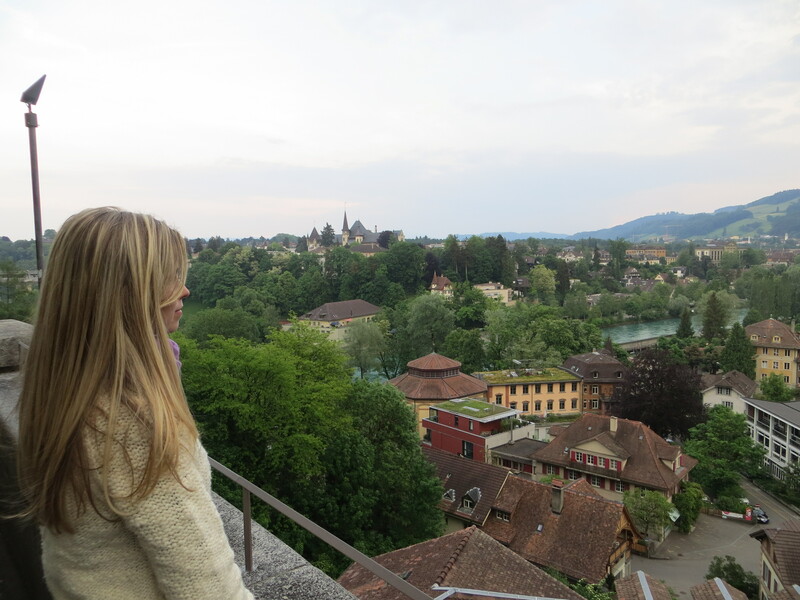 Since Switzerland’s capital city of Bern is about halfway between Geneva and Lauterbrunnen we decided to squeeze a little more in our backpacks and spend Friday night in Bern. 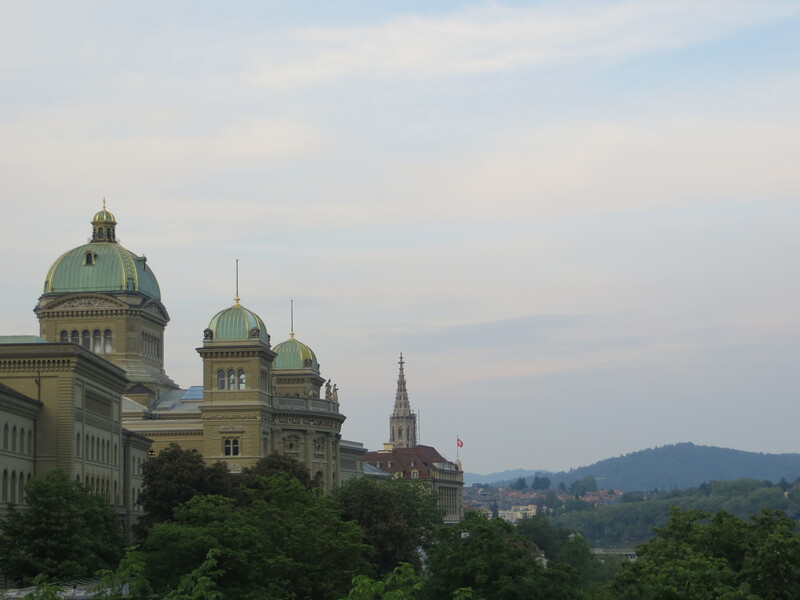 Bern is just 150 kilometers from Geneva, but it has such a different flavor than our town. 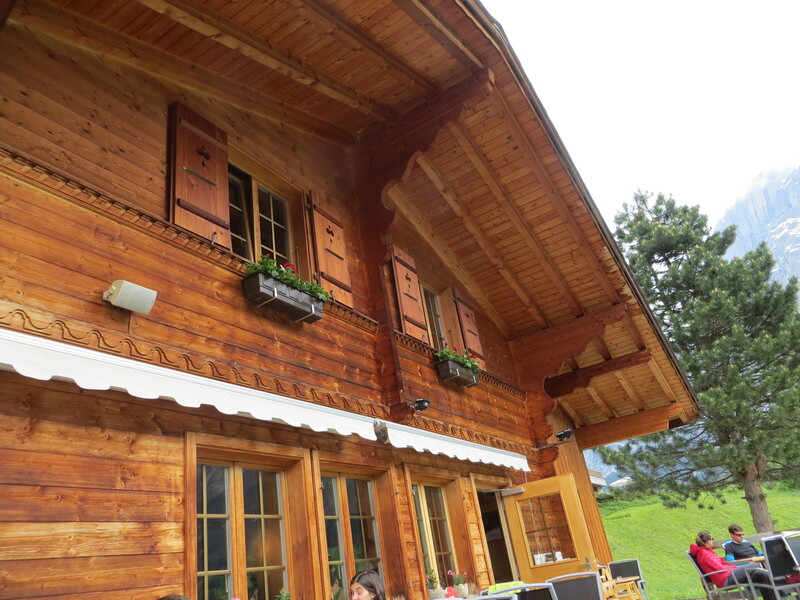 For one, Bern feels more Swiss. 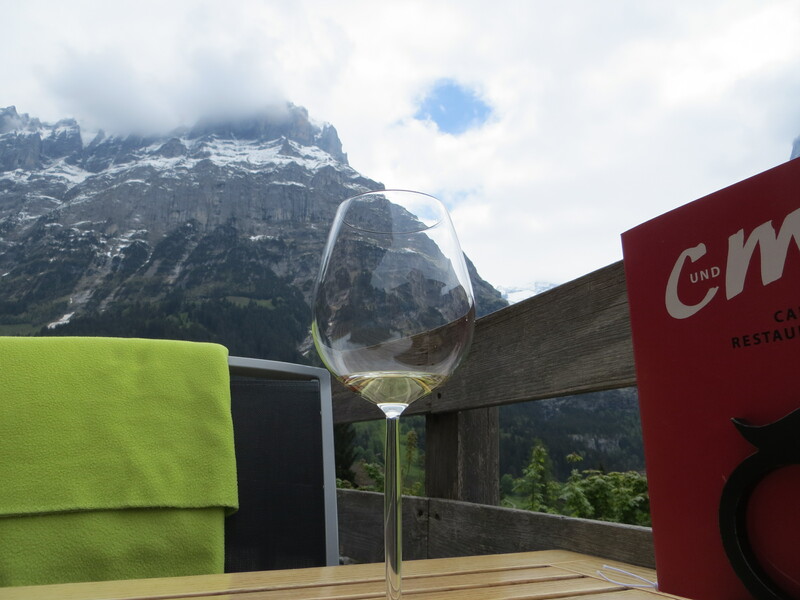 I’m not sure why I was surprised to hear so much Swiss-German spoken, but I found myself stumbling over whether to say bonjour or güten tag (by the way, one should say grüezi). Geneva feels like France even more now that I have been to Bern. 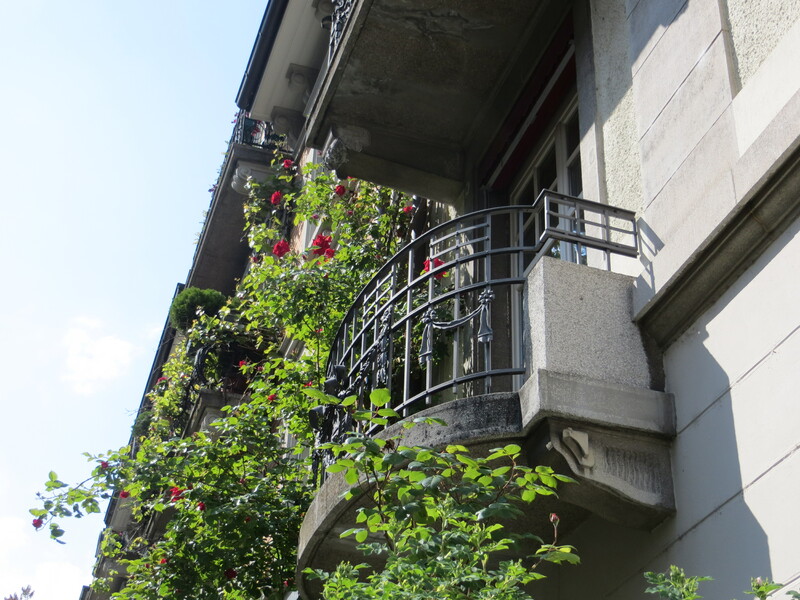 Bern’s architecture also feels more Swiss than modern Geneva’s. 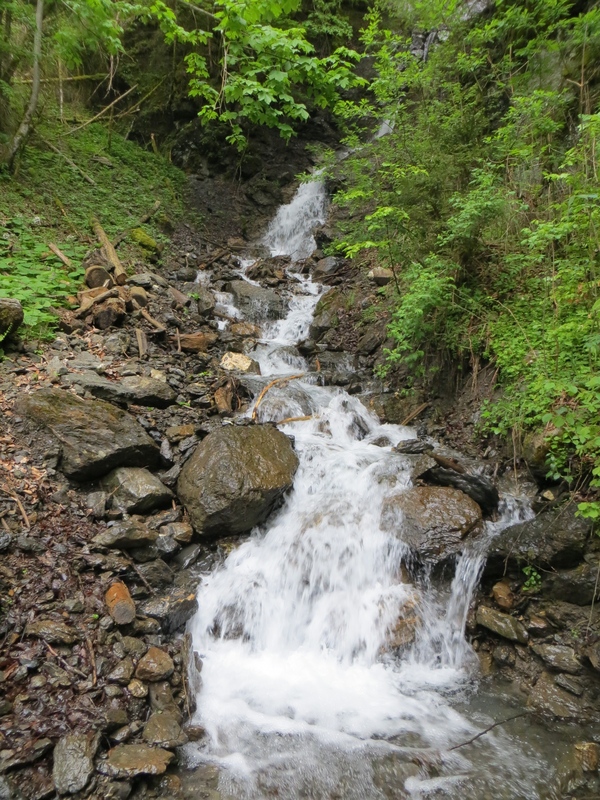 I loved all the oranges, reds and yellows hugging the turquoise Aare River. We spent the evening wandering around the city, taking in a pint at this hip bar and talking about the differences between this city and ours. 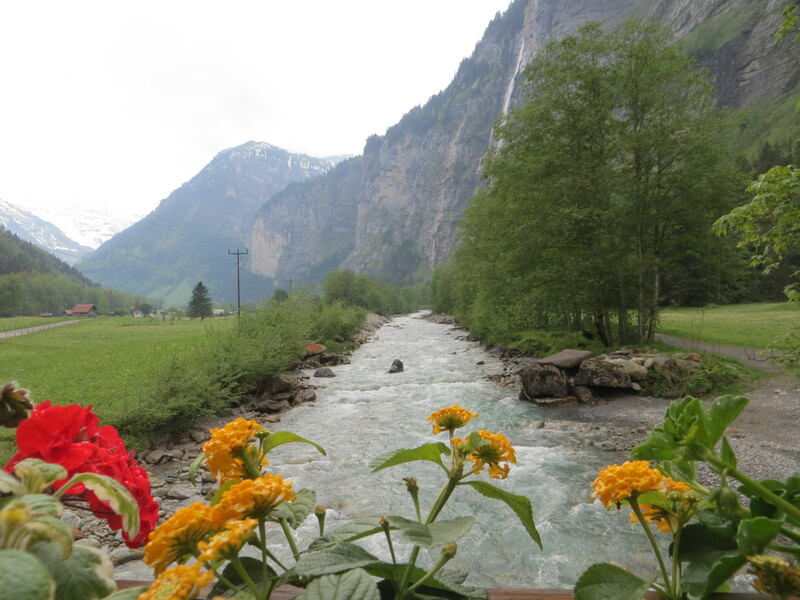 Well-rested from a night spent in a plush hotel bed, we boarded a train to Lauterbrunnen to “rough it” in the magical Valley of 72 Waterfalls. 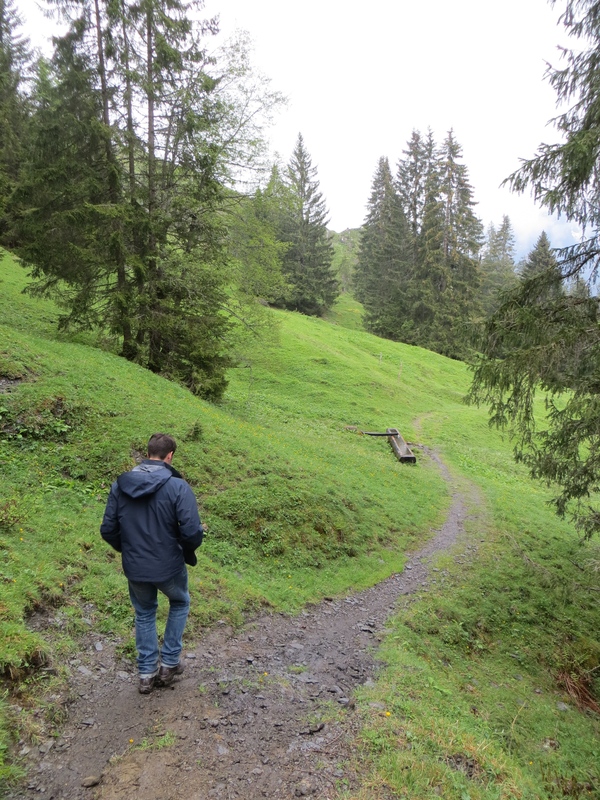 The hiking trail system throughout Switzerland is one of my favorite things about living in this country. The government has invested so much in keeping the trails well-marked and organized. 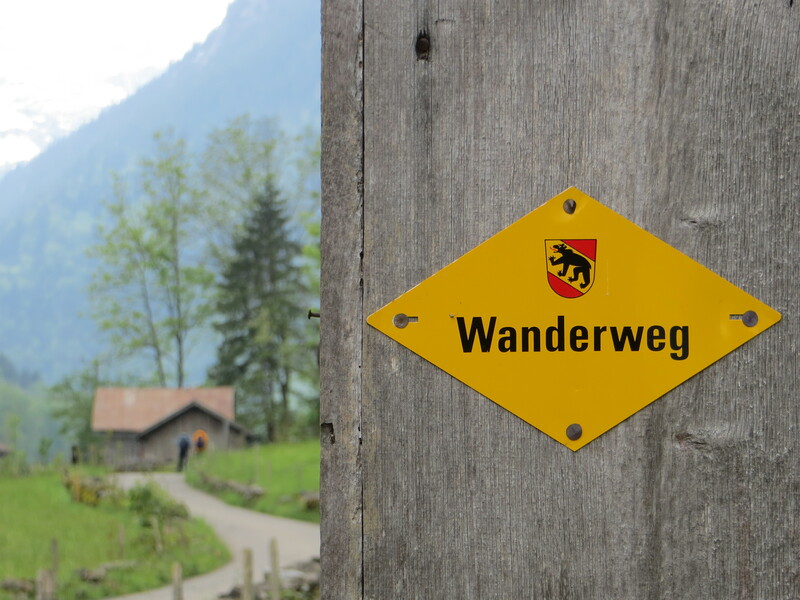 Wanderweg means “footpath” in German and these yellow signs mark the hiking trails throughout Switzerland. 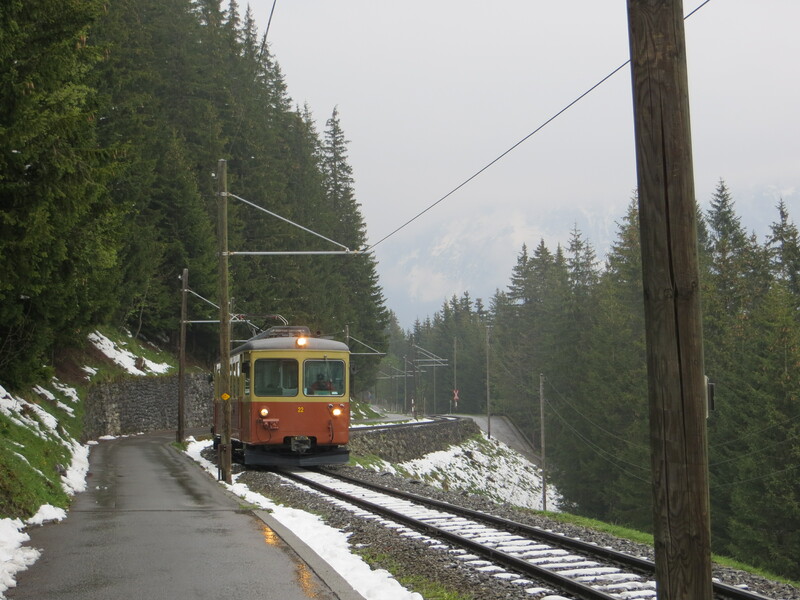 We took a practically vertical gondola from Wengen to Männlichen. It wasn’t as cold as it looks, but the reflection of the sun off the newly-fallen snow was almost blinding. 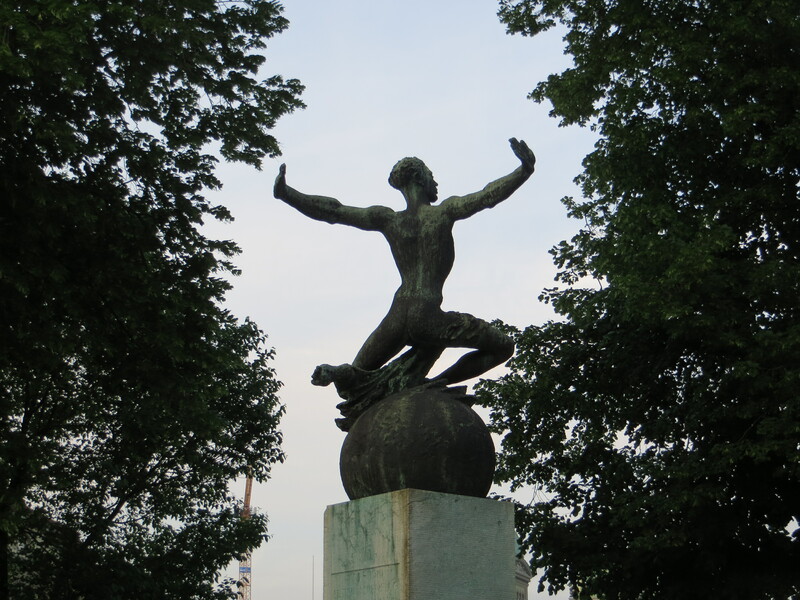 Next, we took a four-mile long (!) 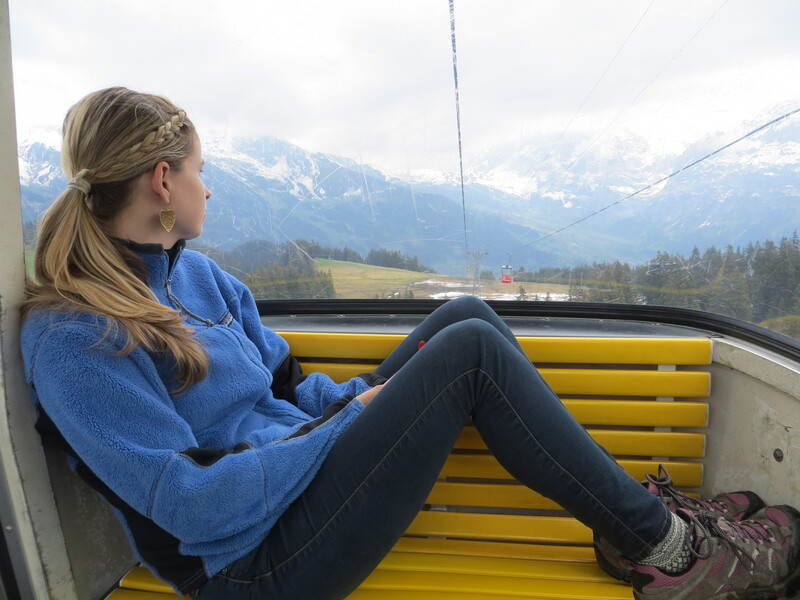 gondola ride from Männlichen to Grindelwald. Just beautiful. Loving my morning armchair Travel through you! 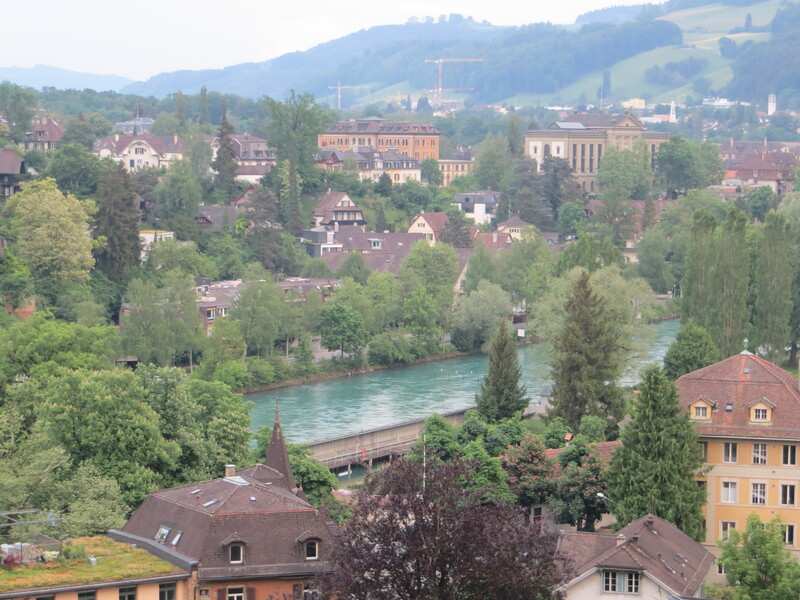 I hear you about ‘French’ Geneva when compared to Bern. 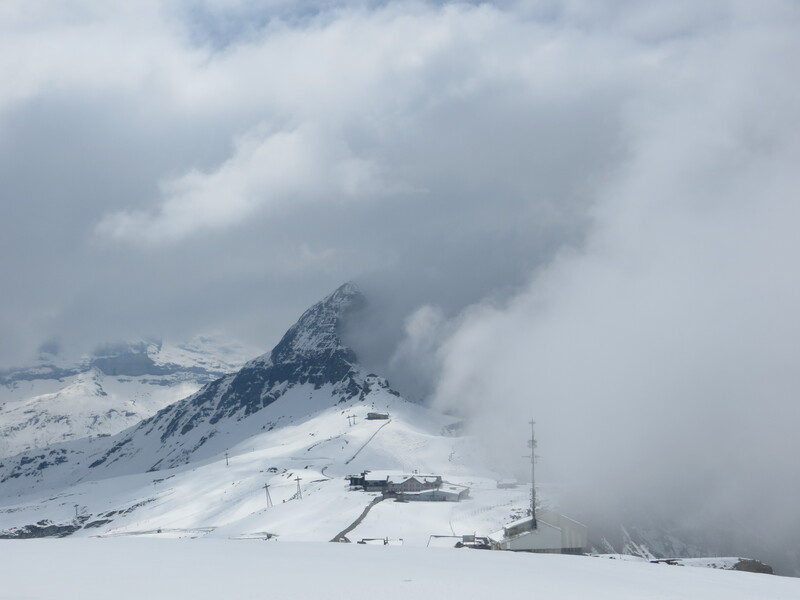 Enchanted you said about the landscape of the Jungfrau Region–enchanted–say it again and remember that wonderful feeling. How can landscape do that to humans? Lovely text and images, thank you.